It has been a year of heartening displays of resistance, solidarity and resilience amidst tectonic ruptures in our cultural and political landscape. For all of the uncertainty and fear that this moment of disruption brings, the desire for people to work together toward our common interest and collective liberation has never been more apparent; and with it, the need for honest reflection, renewed commitment and creative action at all levels of society. Below, we share some reflections on the past year here at Watershed. As you read, we invite you to consider how we — our Watershed community — can best serve and support each other, how we can grow and evolve to rise to the challenge we all must face, together. 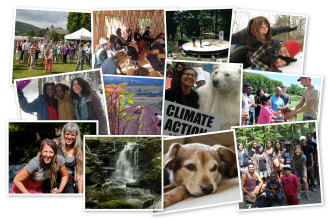 Watershed provides a home base for social movements and works to create a culture of connection, interdependence and care within them. 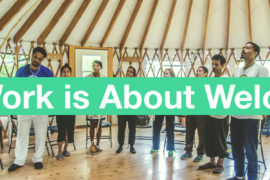 This year, we welcomed to over 50 groups and 1,100 changemakers from around the world, who came to Watershed for grounding, nourishment, training and organizational support. We received groups from the racial justice, climate justice and immigrant rights movements, as well as veterans, politicized healers, progressive funders, radical queers, and profusion of community-based organizations. Watershed hosted our first (of many to come) Relational Culture Training, designed by Lucien and Cedar, of Relational Uprising, who recently moved from LA to join our Watershed team. This training uses storytelling and somatic movement to uncover the forces that create separation from our emotions, the environment, and our communities, which can fracture our relationships and organizations. In 2016 we firmly stepped into our role as a hub for social change work in our local and regional community. We began an Anti-Racist Millerton task force, to help ensure that Millerton is a safe home for all of its community members. We are honored to be supporting the Schaghticoke First Nations to develop a new land-based cultural center. We launched a regional worker cooperative incubator with the The Working World to support two new worker-owned businesses, Rock Steady Farm and Flowers and Random Harvest Food Cooperative. We led trainings for the faculty of the Kildonan School and The Good Work Institute; and we offered youth programing to both the North East Community Center and to EPIC, a social justice program serving local immigrant youth. 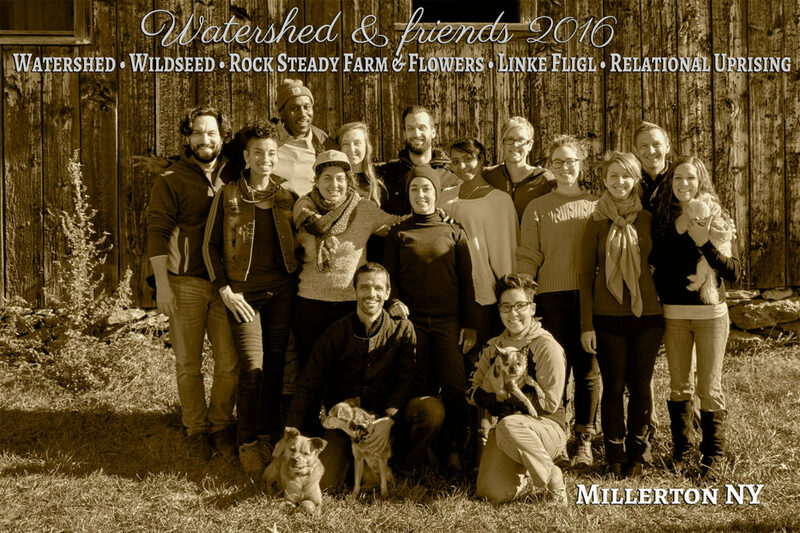 Our hearts were warmed and bellies filled many starry nights at the neighboring Wildseed Community Farm and Healing Village, who celebrated their first birthday in November. And, with the arrival of a clutch of 250 heritage chicks, we celebrated the birth of Linke Fligl, a Queer Jewish Chicken & Egg Farm! We thank you for all your scheming, dreaming and songs around the fire. We thank you for all the work you do for love, joy, justice and liberation. We are grateful to feel so grounded in our extended community as we envision ways we — a land-based movement center — can be of greatest use as together we face so many unknowns in the year ahead. We would love your support. We invite you to contribute to our 2017 Social Justice Retreat Fund, which will subsidize the costs of retreats for low-income, youth-based, and frontline movement groups, and ensure that Watershed remains accessible to all groups in need of space for reflection, healing and strategic visioning.